Gurgaon gets a new address for Royal Enfield enthusiasts to begin their Trip !! 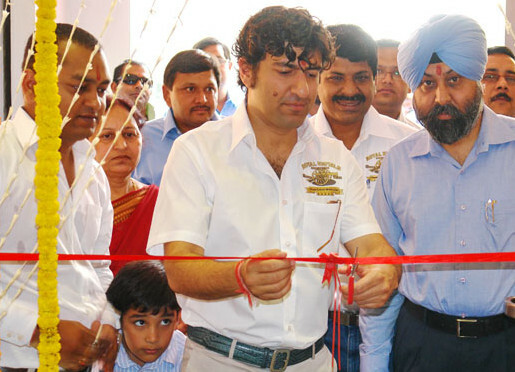 Manzil Motors, the new dealership opened at Bata Chowk in Gurgaon with its thematically designed showroom definitely would come across as a haven for Royal Enfield enthusiasts for whom adventure and leisure motorcycling is an integral part of their lifestyle. Large posters depicting various Royal Enfield motorcycles against the backdrop of some of the most interesting places to see while on the Royal Enfield marquee rides adorn the walls of this showroom and little bits of trivia about each of the rides define the strong culture that Royal Enfield supports and promotes. Having a total area of the showroom-3000 sq ft this showroom has on display the latest line up of Royal Enfield motorcycles also available for test rides for the customers here. This fully air-conditioned showroom with its comfortable customers’ lounge and appropriate music which blends well with what Royal Enfield stands for surely makes even waiting here an experience that makes a customer feel one with the marque. An additional 4200 sq ft of area which houses the service station area has 6 pneumatic bays and 3 manual bays and have a capacity to add 8 more bays in case of urgent requirements.. Promising a pick up & drop facility for motorcycles for their service as well as on-call breakdown emergency services and the flexibility of working over extended hours to cater to working professionals across 7 days a week, this showroom is all equipped with all means that it takes to meet the ever rising expectations of the customer. There is also the provision of an additional quick service bay where a motorcycle can be attended to for minor repairs and work and would not interfere with the other elaborate setup of the service station area. The man at the helm Mr Puneet Gaur is a graduate in Foreign Trade – Practices & Procedure from Delhi University and a Post Graduate Diploma holder in Supply Chain Management from IMT Ghaziabad. Apart from his professional interests in Royal Enfield he also has a very personal connection with the legendary motorcycle, owning a Thunderbird Twinspark himself which he regularly rides and takes out to explore the highways. Having faced some issues in ensuring his motorcycle gets the much needed attention when required in Gurgaon he understands what it means to have a setup for attending to these motorcycles in this region.